Hi! I’m Brian Edwards. Thanks for stopping by. I specialize in guiding leading organisations through their digital transformation journey, providing guidance with regards to the roadmaps for enterprise technologies with the profound expertise I have learnt having previously worked as a Principal Consultant for Microsoft Enterprise Services for 10 years. I have an outstanding track record architecting, designing and implementing modern workplace and cloud hosted technology offerings on platforms such as Office 365, Azure, SharePoint and in recent times become one the world’s leading solution designers on one of Microsoft’s latest innovative products, PowerApps. 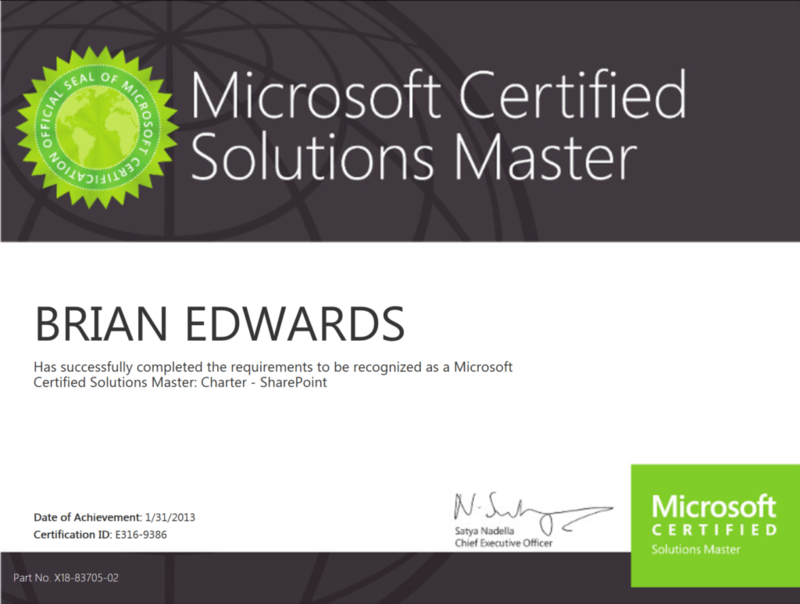 I was fortunate enough to became part of a world renowned elite group of around 125 individuals across the globe when I achieved my Microsoft Certified Solutions Masters on SharePoint accreditation in 2012. I am also the only individual in Middle East and Africa who was able to achieve that qualification, before Microsoft eventually withdrew the certification in 2014 as it was too difficult and too elitist for the majority of individuals to obtain.